The British Motorcycle Grand Prix is a legendary event in the world of motorcycling. This race is part of the prestigious World Championship Grand Prix. Since 1977 (and with the exception of a few years), the Motorcycle GP has been held at the Silverstone circuit, following a boycott carried out by riders against the initial British GP location in the Isle of Man. The British Motorcycle Grand Prix has been traditionally held during the month of September. Italian world champion Valentino Rossi holds a record number of victories at this event, with 7 wins, most of which were achieved when he was riding for Honda, a Japanese manufacturer that accumulated 36 victories at the Silverstone circuit. Previously known as the Honda CB500 Cup, the Thundersport GB Championship has been taking place under its new name since 2009. The British series were inspired by the French CB500 competition, which has been held since 1996. The renaming of this motorcycling event meant the inclusion of two additional 500cc motorbikes in the race, since now Suzuki GS500 and Kawasaki ER5 riders are able to take part in the Championship. Some of most talented riders that have taken part in the Thundersport GB Championship include James Ellison, James Toseland, Sebastien Charpentier, Maria Costello, and Jonty Dixon. This year, the Thundersport GB Championship event will be held on 26th and 27th October at Donnington Park. During these two days, attendees can expect to witness some exciting duels between the top UK riders in all categories, including racing Mini twins, Super twins, Superteens, Supersport, and Superstock 1000. Attendance to the MCE Insurance British Superbike Championship has been a must for motorcycle riding enthusiasts since 1988. This event differs from others in that the motorbikes used have been slightly modified to increase their speed and power. 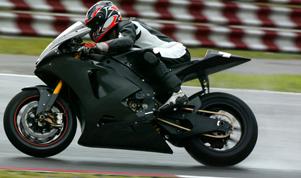 Typically, the so-called superbikes feature 1000cc and horsepower of up to 200bhp. However, not every superbike is allowed to take part in this competition, as manufacturers are required to comply with strict regulations. Currently, the only motorcycle manufacturers allowed to compete at the MCE Insurance British Superbike Championshipare Suzuki, Honda, Yamaha, BMW, and Kawasaki. The MCE Insurance British Superbike Championship is a three-day event that features practice sessions, qualifying rounds, and the final races. Speed and dramatism are the main draws of this multi-day event, as it is not strange for riders to reach speeds of 200 miles per hour and to lap around the Brands Hatch circuit's 2.4 miles in just 86 seconds. In addition to the Superbike races, the event at Brands Hatch also welcomes riders in a wide range of classes, including Moto 3, Supersport, Superstock 1000, Superstock 600, and Motostar. The MCE Insurance British Superbike Championship is a summer event that takes place three times a year, usually in April, mid July, and October. The next MCE Insurance British Superbike Championship event is scheduled to take place between 18th and 20th October at Brands Hatch, Kent. Online bookings are available now from the circuit's website at http://www.brandshatch.co.uk/, and they offer a £5 discount over the regular ticket price of £31. Children under 13 years old benefit from free entry. This event is one of the oldest motorycling races in the United Kingdom. First held back in 1907, the Tourist Trophy Classic was for many years one of the world's most prestigious motorcycle races. Much of its appeals is due to its challenging layout, which was also known as one of the world's most dangerous. Unlike other motorcycling events, the Tourist Trophy Classic does not take place in a closed circuit, but on the roads of the island instead. The race is held on a time trial basis, during which riders have been known to exceed speeds of 130 miles per hour. World champion Joey Dunlop has a record number of victories at the Tourist Trophy Classic, with 26 wins between 1977 and 2000.